The brake pads in a car are a significant part of a braking system. Their role is integral in ensuring your car stops at the right time. 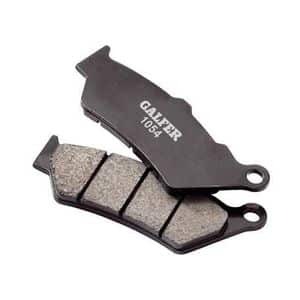 Brake pads are found inside the brake calipers and are made of high-quality rubber. When they come in contact with the metallic surface of the brake rotors friction is created and your car comes to a halt. However, the constant rubbing of the brake pads against the rotors wears them out to an extent that you have problems stopping your car. There are a number of symptoms that arise from worn out brake pads. We will shed some light on the symptoms in this article. Brake pads wear out eventually, even though they are made from very high-quality rubber. Their life is relatively short thanks to the concept of friction. Friction is the biggest enemy for your car’s brake pads, but it is not like you can prevent friction from acting, therefore, it is better to go with the flow and look for problems instead of avoiding them. Here are some common signs of brake pad failure. When the brake pads wear out and lose their integrity, contaminants sneak in and fill up the newfound space between the calipers and the pads. These pollutants, of which dirt is the most common, cause the brakes to make a loud squealing noise when you press them. If you are hearing such sounds every time you press down on the brakes, it is time to visit the mechanic for repairs. The brake pads are the sole reason your car stops. If they are somehow damaged, you can get into an accident pretty easily. Therefore, it is necessary to get them changed if you are feeling your car is taking too long to stop. When you get them replaced you will feel the difference between new and worn out brake pads. Due to the nature of their work, brake pads can wear out abnormally or unequally. If you are feeling a throbbing or pulsating sensation from the brakes when you press them, it means you have overused your car’s brake pads and it is time to think about replacing them. While this symptom is not that common, it can happen due to low-quality rubber. This is probably the last symptom you will see since it can only happen in extreme cases. Marks on the brake rotor means your brake pads have worn out to such an extent that the calipers are rubbing themselves onto the sleek rotor surface destroying it in the process. As soon as you feel any of the aforementioned symptoms you should start doing some tests to ensure it is actually the brake pads that are at fault or if it is another brake system component. There are many ways to test failing brake pads but it is best to conduct tests that are easy to administer. Conducting tests that are outside the scope of your understanding can reap no results. So, the first test you can do to test brake pad failure is an easy one. All you have to do is drive your car like you normally do, instead of this timed brake hard and brake frequently. Feel for any tell-tale signs of brake pad failure. If you feel or hear any of the aforementioned symptoms, you could have brake pad failure. However, the 3 main components of a braking system work in tandem with each other so it is troublesome to determine which of the three components are causing the issue. 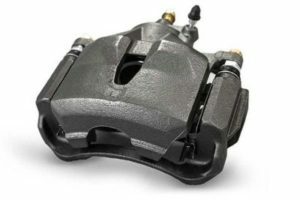 The same problems arise with brake calipers or brake rotors as they do with brake pads, hence it is best to let a professional mechanic take a look. In the event that you are successful in finding the issue and you can ensure the issue stems from brake pads, it is time to move to the next step which is repair. Unfortunately, brake pads are not something you can repair. Brake pads are machine built and forged as a single unit, so it is not like you can craft them back to their original state. So, all you can do is get old brake pads replaced by new ones. Your nearest certified mechanic can help you out with that, so make sure to head over to his workshop once you are adamant on brake pad failure, but even if you are not sure the mechanic workshop is a great place to learn of the exact problem. Brake pads are so frequently changed that suppliers ensure they are readily available in the market. Whenever you go in search of new brake pads, you won’t be disappointed since they are always available. Which also means they are extremely cheap. A brake pad will not cost a lot of dollars. The real dent in your pocket will be due to the labor costs. A certified mechanic will always cost a lot of money. These mechanics train for most of their lives, so their experience is undoubtedly very much on the high side. Ideally, a professional mechanic should charge you from $70 to $100 just for his hard work. That might seem high but changing brake pads is complicated work as it involves assembling and disassembling the entire braking system. On the other hand, the brake pads themselves can cost you $50 – $100. Their variation in price depends on the type of your car, its model, and its company. Car parts for German made cars are usually very expensive. Furthermore, the amount you pay depends on the number of brake pads you get changed. It is possible that only one brake out of four is compromised and you just have to change the brake pads for it, but it is also possible that both the front wheels need brake pad changing. If that is the case, you are looking at an even bigger replacement cost. When should you replace your brake rotors? Dot 3 vs Dot 4 - What is the difference?